CHICAGO, Jan. 4, 2017—Technomic has been tracking trending flavors for quite some time now, watching as they evolve from the introductory stage into a menu mainstay. As we look beyond flavor, we now wonder which ingredients are emerging on the innovation scale? Chicken and bacon are, by far, the most popular proteins on sandwiches, but what’s next? “The Technomic Lifecycle is pushing the envelope by showing us real-time ingredient innovation,” says Bernadette Noone, vice president at Technomic. We've noticed with the growth of consumers' desires to remain healthy, that tofu is the leading cutting-edge protein used in sandwiches. 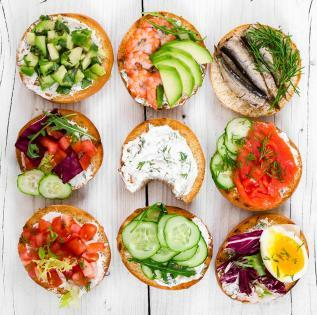 Other ingredients like Muenster cheese, truffle aioli and English muffins were also identified as innovators in the sandwich category. On the other hand, Technomic often finds that ingredients can be mainstream in some meal categories, while being unique and competitive in others. A perfect example would be “chipotle mayo”. When paired with chicken sandwiches, it is often found in the mainstream part of the lifecycle, while adding it to steak sandwiches places it on the introductory and growth scale. The Technomic Lifecycle tracks flavor and ingredient penetration levels across concept categories with varying levels of innovation, from chef-driven restaurants to national chains. It dynamically projects trends for thousands of menu categories, and helps operators find the right ingredient type before they go mainstream. Technomic’s MenuMonitor analyzes more than 7,000 commercial and noncommercial menus tracked quarterly to identify menu opportunities, including seasonal promotions, new menus and LTOs. For over 5 years, Technomic’s Lifecycle has been tracking flavors through their stages of adoption, and now proudly boasts an additional 30+ ingredient types to analyze. As a dynamic part of MenuMonitor, it can pull predictive insights on a limitless range of dishes in seconds. To learn more, please visit Technomic.com or contact one of the individuals listed below. For Technomic updates, please follow us on Twitter, LinkedIn or our blog.